If there's one thing in the world that I wanted to do in my life, it is to make all my loved ones happy especially my grandmother who is already 78 years old. Her life is always a blessing to all of us. At 78, she is still capable of taking care of herself and her grandchildren. Lola Charity came to visit us last month. We didn't have much time to tour her around the city because my father was in the hospital that time and my cousin who came with her was also hospitalized. I was really really busy taking care of them. 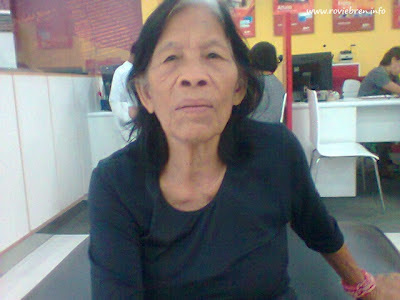 My lola's health is still stable although she is having difficulty seeing things clearly because of her cataract. I brought her for check up before she went home and the doctor advised that she needs an eye operation. We are currently working on our funds for her operation and hopefully the operation will be done soon. 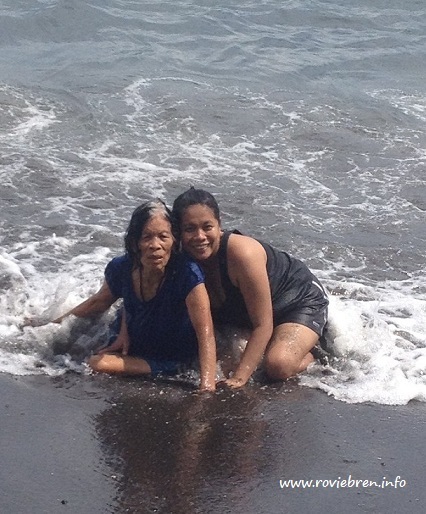 I find great joy spending time with my lola especially when I see her happy and laughing over simple things. I pray that the Lord will give her long life and that her operation will be materialize soon for her to enjoy life and see beautiful things once again. your post made me cry Sis Rovie but happy tears :-) GOD bless your heart all the time for being so generous. Both of my Lolas are gone but my kids Lolas are still alive that is why I have to make sure that they see their Lola especially my Mom in the Philippines. I cannot wait to see my anak bond with her Lola :-) Dropping by from WW. This is my third visit of your different blogs. I really don't know how you are able to keep with it. Nice bonding. Salamat din sa dalaw... I miss you! Sorry for late reply...Just saw your comment in my blog at nalagay sa spam...I follow you in you google+ and will follow you in your facebook and add you in my blog link, please let me know if it go through di pa kasi ako familiar sa google +. Your lucky you spend time with your lola...ako namatay yong lola ko di ko man lang nakita kasi conflict masyado yong pag-uwi ko that time..with my work at visa. Hi Rovie, I wish your lola well. Sana may lola pa rin ako tulad mo. I hope the eye surgery would push through soon. we really love our lola, she is 82 years old now.we are lucky that we still have our lola. It is such a blessing for some grandchildren to be greatful for their grandmas. Writing a post about her is such a grand way of honoring your grandmother. It only shows she had brought you well. You're lucky to have a lola who takes care of her loved ones. I hope that soon you'll raise the funds needed for her eye surgery. Visiting back! 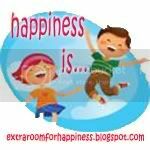 Salamat sa pag link up sa Happiness Is, at sa mga comments sa blogs ko. Ngayon pa lang ako nag-ra-rounds. Medyo busy din ako sa work (as usual), pasingit singit lang din muna ang blogging. I can imagine my Lola too. She's still very strong just like your grandma. Kaya nyo yan. Kering Keri ang operasyon ni Lola. aww, that photo of you with your lola is sweet, rovie! i am sure she is blessed to have an apo like you. thanks for joining WW! Thanks so much for the info Raine. Appreciate it!